Gill studied Art and Contemporary Dance pursuing a career teaching Art and Design. 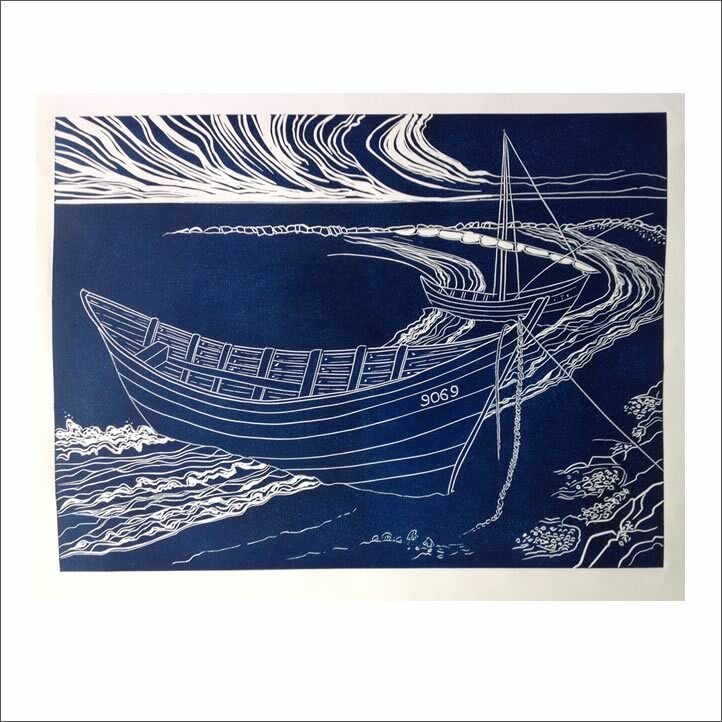 During the past twenty five years she has specialised in a variety of print methods, screen print, linocut, woodcut and etching, exhibiting locally, nationally and internationally. In 2006 she read for an MA in Fine Art (Print) at Chester University. In 2012 Gill shared a residency with Australian printmaker Lisa Who at the print studios in the Bluecoat Gallery, Liverpool exploring the cyclical journey of the sunflower seed from St Remy, Provence to Wirral and back. Recently she has developed a series of prints based on the region of the Camargue, Arles and the hinterland of Les Alpilles. Sharing printmaking facilities at the Bluecoat with fellow printmakers has led to exciting, collaborative projects that offer endless new possibilities in the medium of print.